Carbon Water Filters have been used for centuries to filter impurities from drinking water. Carbon is a very powerful absorbent; one pound (half a kilogram) of carbon contains a surface area of 125 acres (0.5 square kilometers). The material has millions tiny pores, usually invisible to eye, and can absorb thousands of water contaminants. Several forms are commonly used in water filtration: Granular Activated Carbon ( GAC ), and Carbon Block. Activated Carbon is a material that has a positive charge, which helps attracting even more impurities. Generally, Carbon Block Filters ( or "charcoal water filters" ) have higher contaminant removal capability than GAC filters, and they usually have a higher cost. Activated Carbon and "Block" Filters a usually rated by size of the particles it can remove. Typical ratings are from 50 micron (least effective) to 0.5 micron (most effective). We generally use 5 micron carbon blocks in our systems, because it gives us very effective absorption capabilities in combination with acceptable water flow rates. However, some applications exist where granular carbon is a better fit, such as in removing chloramines (combined chlorine). Although various types of carbon exist, three are generally used for drinking water filtration: bituminous, wood, and coconut shell. 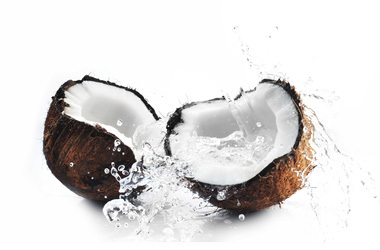 Coconut shell variety is most effective for most water filtration. We typically use coconut shell carbon (<< here sold in bags) in our systems. Culligan / Pentek RFC-BB10 10"x5" Radial Flow Carbon Filter Cartridge # 155141. Genuine Pentek water filter compatible with Culligan, Ametek, US Filter, Plymouth, Kleen Plus, American Plumber, Bruner and many other brands. KX Matrikx CTO PLUS Carbon Filter # 01-425-125-975 (CTO PLUS) is a high performance carbon filter for drinking water applications, removes Chemicals, Taste and Odor, and VOCs. Cartridge fits most standard 10"x5" filter housings. Also known in the industry as "